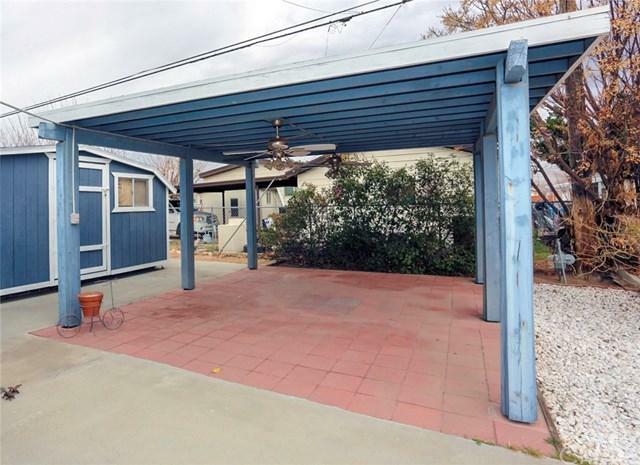 This immaculate and spacious, well designed 1777 sq ft manufactured home, located on a corner lot, with a private covered patio invites comfort and desirability. Enjoy gatherings in the generously sized living/dining room, graced by a wood burning floor-to-ceiling natural stone fireplace. The large kitchen will inspire your inner chef with its ample counter space, large pantry as well as an island with seating space. Separate dining room offers gorgeous display/storage oak cabinets as well as overhead lighting.Spacious master bedroom offers ensuite with large soaking tub and separate glass shower. 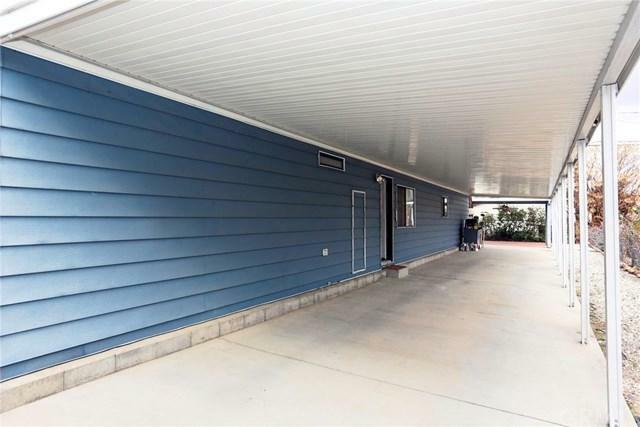 Laundry is conveniently located and includes a sink, built in wood cabinetry and the washer and dryer.Step outside the back door and enjoy the large covered patio which includes two ceiling fans. 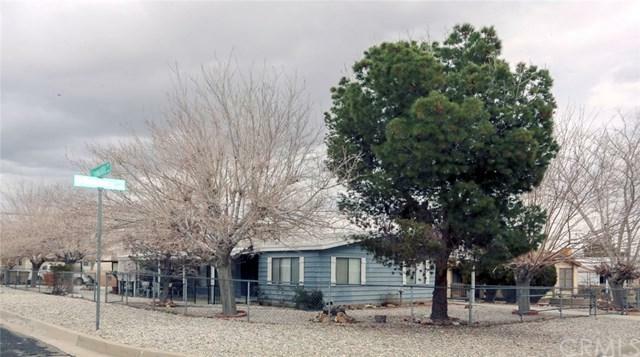 A large storage shed is included on the property. You'll also love the convenience of covered parking for multiple vehicles.This home is staged and a must see. The furnishings are negotiable with the sale of the home. 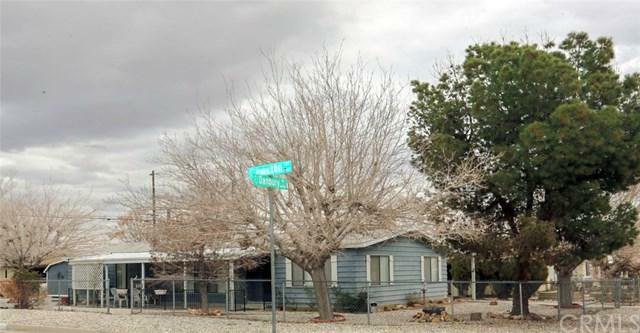 Sold by Tammi Hannillan of Realty One Group.